I’m writing this post in advance because I know I will not be in the mood to write this Friday night after my Christmas party. I have a feeling I’ll be sleeping in today and enjoying my nice cozy bed! 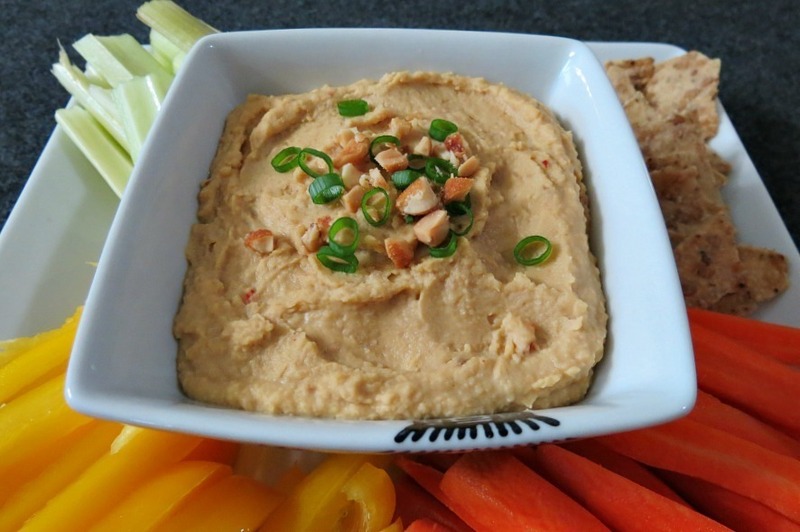 Today I have for you one addicting Hummus! It’s my Peanut Butter Hummus! After I made peanut sauce a few months ago, I thought, I bet this would be good in hummus form! Yup, it is!! 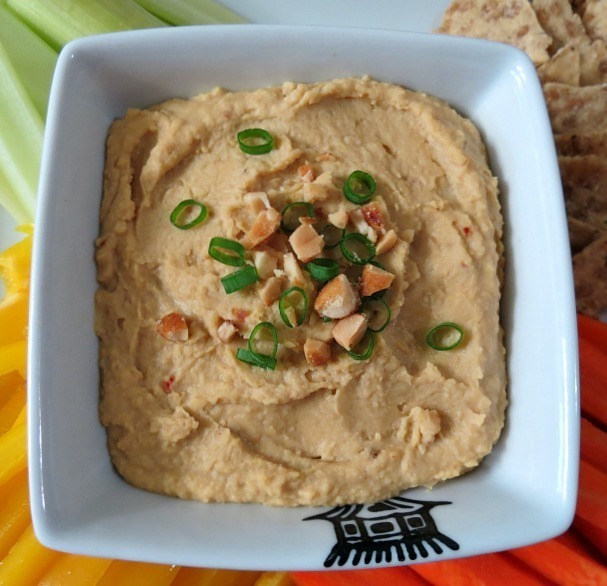 This is such a wonderful, creamy, slightly spicy hummus that has a slight taste of peanut butter! It’s so good and tasty with pita chips and veggies!! 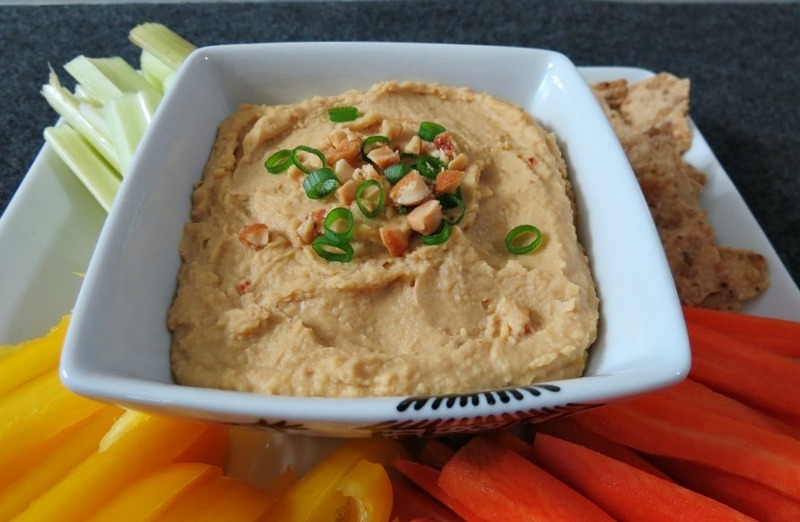 This hummus is not only good with veggies it is amazing in a wrap with sliced cabbage, thin strips of carrots, jicama, and some chicken or shrimp. Oh baby!! The Hummus is made with garbanzo/chickapeas, rice vinegar, soy sauce, a pinch of sugar, chili flakes and of course peanut butter! It’s so easy to whip together, perfect for a holiday party or a leisure Saturday with some healthy snacking. I’m really, really, really trying to stay away from cookies! You don’t even want to know how many I consumed this week! I am officially going to try to stay cookie clean until Christmas! I wonder if I can do it? ha ha probably not!! 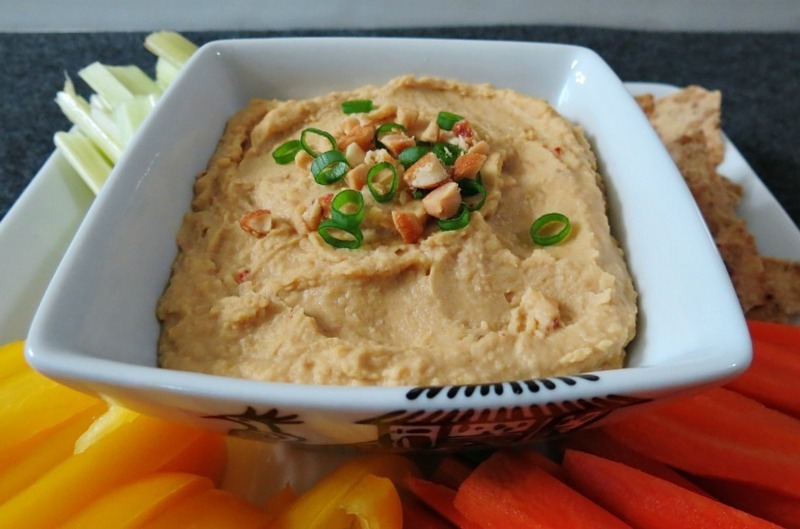 An Asian Hummus that is sweet and savory, with a little kick of heat and made with creamy peanut butter. In a food processor mix together all the ingredients and process until smooth. Serve with vegetables or pita chips. Lets talk Christmas!! Can you believe it is 17 days away? I get paid twice a month and I only have one more paycheck till Christmas! Ugh! I am not prepared!! I tell myself every year in July that I will start putting money away towards Christmas and the next thing you know December is here and I didn’t save a dime! Story of my life! So tell me what do you have on your Christmas wish list this year? I want is a refrigerator. A pretty one I saw at Home Depot. It’s an LG, stainless steel, 2 drawer bottom freezer and it’s just so shiny! Of course a matching set like an oven and dishwasher would have to come next! Maybe a kitchen remodel Ok, I’m going overboard now, but it’s Christmas time and I can dream!! The other big thing I want are the new 10 piece pots and pans set from Williams and Sonoma! They are GORGEOUS!!! Not only are they pretty, but in all honesty I really do need a new set of pots and pans. Mine are standing on there last leg! Of course I want small things to, not just big things. In all fairness, you know what would make me happy? A big family gathering! My family lives out of state and I would love it if one year we could all get together and have a traditional family holiday! That would be so much fun! Maybe next year? Well that’s it for this edition of my gibberish! P.S. One last thing: QUESTION: As a kid was there a Christmas gift you always wanted but never got? For me I wanted the Barbie Dream House and instead I got the Barbie Town House! Yah, that was nice, but not the same as the beautiful pink dream house! This looks delicious! 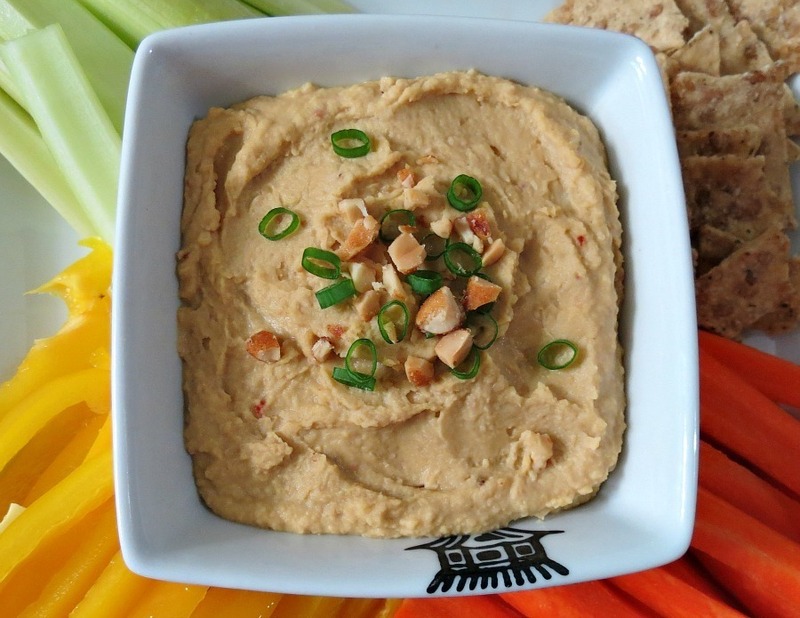 What a great idea to use some peanut butter in hummus. Girl, I can eat hummus in any form. I cannot WAIT to try this one! I’m dying!! !